I have been thinking about the importance to go back to the past to make progress for a long time. Let me explain myself better: reintroducing those agricultural products, those flavors of the past and proposing them in contemporary recipes again with the hope that this operation will give meaning to our work and the economic future of our land through a tradition that is revived. An example: the Ancient tomatoes of Naples. The Ancient tomatoes of Naples are technically defined as Smec 20, a clone of the San Marzano tomato variety. Perhaps, not everyone knows that the San Marzano tomato disappeared at the end of the 80s and it was replaced by a hybrid called type Rome: a variety of tomato very easy to use, resistant and not requiring any supports (the so-called wooden poles); moreover, the production per hectare was high and two crops were harvested. In simple terms the condensation of intensive farming and the industrialization of the fields. At the beginning of the 90s a group of researchers from SME Ricerche (Campania Region Body) led by Patrizia Spigno, my friend, and some other farmers reintroduced the San Marzano tomato. The EU regulation of 1 July 1996, n.12/63 approved the denomination of protected origin San Marzano PDO. 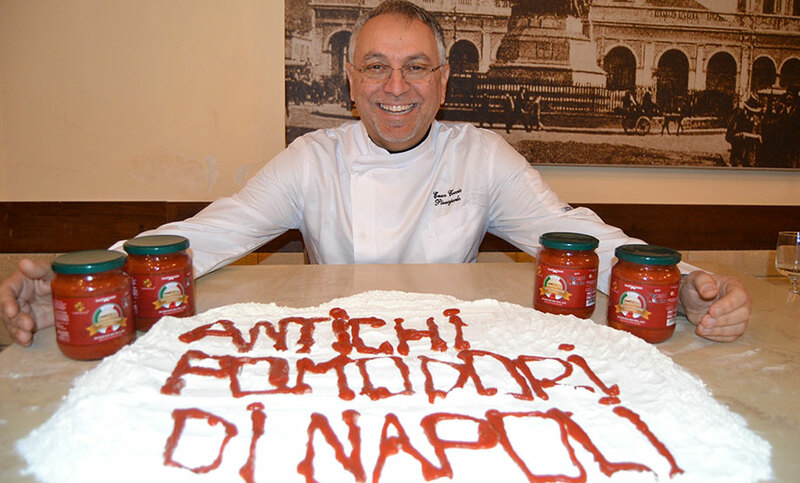 The effort made by many, especially by Ruggiero’s family of which Eduardo was the President of the Pomodoro San Marzano Consortium, let this tomato commonly used in a segment of quality pizzerias. A few years ago, the Slow Food Association established the Presidium that takes the name of Antichi Pomodori di Napoli (Ancient tomatoes of Naples), restarting the production of the Smec 20 ecotype which has a sweet and sour taste, bright red color, compact flesh without seeds and the classic elongated shape. With this gem, I prepare the Marinara and the Margherita pizzas: what a smell and what a taste!